Vars Real Estate’s commercial real estate services are ideal for both buyers & sellers looking to invest or lease commercial real estate in Culver City and West Los Angeles. 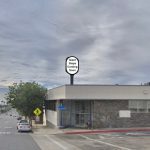 If you are a business owner or investor interested in retail, industrial, or office properties in Culver City and surrounding areas, then we have the market knowledge and expertise to acquire the right property for you. If you are selling or leasing your property, our commercial real estate services will position your property to maximum your return on investment for that property. Landlords who own a commercial space or building are at an advantage working with Vars Real Estate. Our understanding of the Greater Los Angeles area and surrounding communities will allow us to negotiate a lease that will allow you to achieve a greater profit. Our services will help you find a tenant that will care for the location as if it were their own. Our commercial real estate services also apply to commercial tenants looking to negotiate favorable leasing options with local property owners. Finding the right location is one thing. Negotiating a leasing term that is advantageous to your business is something completely different. We are able to find the location that is right for you while identifying the most cost effective options. There are two sides to all commercial real estate transactions. At Vars Real Estate, we have the experience necessary to represent both the buyer and the seller because our commercial real estate services apply to both. Representing the Seller, involves creating specially crafted strategies to put a piece of property in the best position to garner the most value in a timely manner. While representing a Buyer, it is our duty to find the most cost effective commercial space that fits the needs requested. 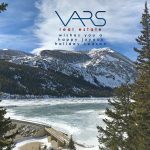 Vars Real Estate represents Investors looking to acquire a commercial space that will appreciate in value over time. 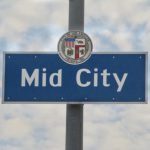 Our vast knowledge of the Greater Los Angeles area will become your biggest asset. We will help you make a wise investment decision and advise you along the way as your property grows in value over time.